Protect your clothes as you cook with this cute 100% cotton apron. 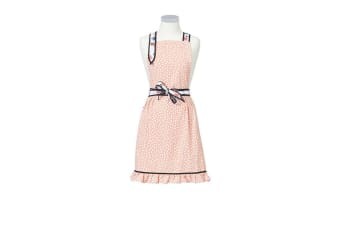 This dotty patterned apron features a wide adjustable neck strap, with a tie around waist strap for a firm fit. A delightful ruche around the edge provides a wholly feminine feel for those who like a bit of a frill in their lives.